Google Analytics is Blocked in China - Myth or Truth? It is true that most Google products are restricted in China due to the Great Firewall. The main used Search Engine in China is Baidu and they have their own Analytics product that they would prefer you use. It also true that Google Analytics is blocked in China - well the web interface is anyway. But what if you are a business outside of China and you have a .cn website? Can you use Google Analytics to track your website behaviour and performance? The answer is YES! Trackify were recently tasked with this exact problem. We have a New Zealand based client that have always relied on Google Analytics for tracking and measuring their website performance. They recently created a .cn version of their website to cater to their Chinese users living in China. Baidu Analytics was recommended for their tracking needs and they were under the impression they couldn’t use Google Analytics. While we’re sure Baidu Analytics is a great tool - it is in Chinese and not ideal for our English speaking client. In summary - Google Analytics does work on .cn websites but the Google Analytics interface can only be accessed outside of China (which is ideal for our client). NOTE: There are risks associated with using Google Analytics in China - such as latency and data loss. There is no guarantee that the analytics.js script won’t be blocked in the future. Did you know you can track your clients data studio report usage via Google Analytics? Trackify recommend setting this up to see who is and isn’t using all those lovely dashboards you’ve set up! For this tracking we recommend setting up a new Google Analytics Account so you don’t risk skewing any existing data. Setup a new Google Analytics account here. We recommend excluding your personal IP address if you are responsible for building the dashboards. You can find out how to do this here. Once your account has been created - make a note of your property ID under Property Settings. Click out of settings and this change will be saved. Test your setup by changing to ‘View’ mode in your Data Studio Report and watching your data filter through into Google Analytics Real Time Reports. If you’ve already excluded your IP address this won’t work but you can still test using Google Tag Assistant. As you can see above, the report URL is coming through as the page URL and the Report Name & Page Name is the Page Title. This way you can easily create reports and filter by client name etc. Optional : Create a Data Studio report to see your top used Data Studio reports. This year Trackify were fortunate enough to be a co-organiser and sponsor of MeasureCamp Auckland. 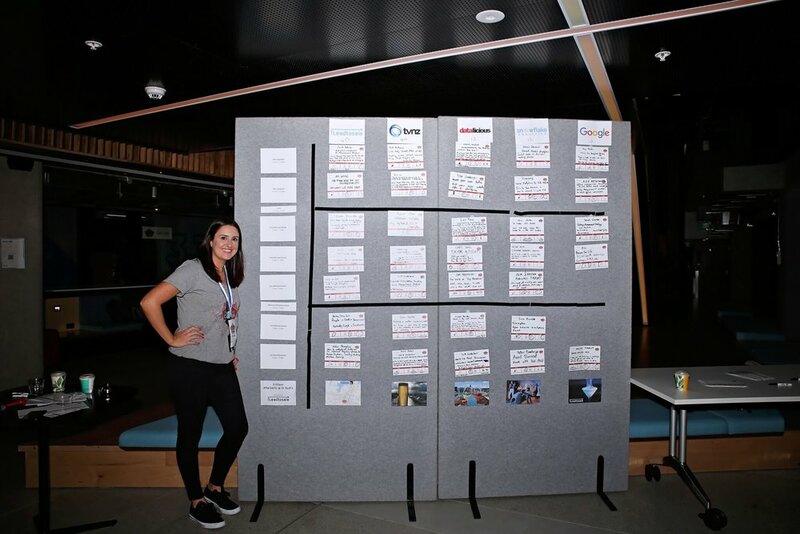 This was the first MeasureCamp to be held here in New Zealand and it was a huge success. With over 100 digital analytics enthusiasts from all over New Zealand and some from Australia the session board filled up with no problems. We were lucky enough to have great speakers discussing a broad range of interesting topics from Google Analytics Hacks to People Based Measurement. A big thank you to our dedicated sponsors and co-organisers for making the first MeasureCamp Auckland one to remember! MeasureCamp Auckland will return in 2019. If you are interested in becoming a sponsor or organiser please get in touch. As of May 15th 2017 you will be able to take advantage of Google Analytic's new cross-device remarketing functionality. A remarketing audience is a list of cookies or mobile-advertising IDs that represents a group of users you want to re-engage because of their likelihood to convert. You create remarketing audiences based on user behavior on your site or app, and then use those audiences as the basis for remarketing campaigns in your ad accounts like AdWords and DoubleClick Bid Manager. Currently Google Remarketing does not allow you to target across device and has historically relied on cookies and mobile IDs to identify users for remarketing lists. This is obviously not ideal as it's pretty normal behaviour for users to browse the web across multiple devices. In fact, according to a study, '6 in 10 internet users start shopping on one device but continue or finish on a different one'. Currently, if a marketer built a remarketing audience in Google Analytics then they would only be able to reach them via browser cookies on a singular device. Obviously this is not ideal and Google has noted that a solution is one of the top requested features. For years marketers have been trying to find a work around for the problem. As of May 15th 2017 this problem will be solved. Marketers will be able to reach users across devices similar to Facebook and Twitter. As of May, if someone visits your website on one device, you can now reach them with more relevant ads when they search or browse on another device. By using signed-in user data, ads can be shown to visitors across any device which is linked to their Google account. First, for users on your site, Google Analytics will collect Google-authenticated identifiers associated with users’ Google Accounts (and therefore, personal information). 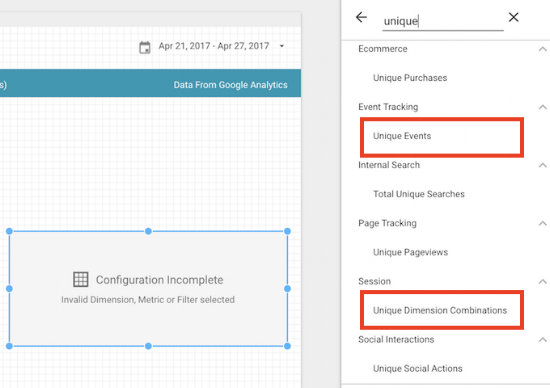 Second, Google Analytics will temporarily join these identifiers to your Google Analytics data in order to support your audiences." Marketers should reconsider their remarketing strategy now that ads are going to be seen across multiple devices. Real-Time reporting in Google Analytics allows you to monitor activity on your website or app as it happens. The reports are in real-time and great for testing your analytics setup if (like me) you're not great with debugging tools such as Charles. Recently I've been having difficulty testing attribution in the reports and have spent hours trying to solve why conversions and events have be showing up incorrectly as direct/(none) in the real time data. If you're reading this then you've done the smart thing and Googled it! Due to a change in the way Universal Analytics sends and stores campaign information for Real-Time reporting, it is possible that, during a single session, a user stops being recognized as coming from a specific campaign and is instead counted as a direct referral. As a result, you’ll see traffic and conversions incorrectly attributed to a Source of (direct). You’ll only see this in Real-Time reports; in standard reports, traffic and conversions will be attributed correctly. Hopefully you've read this before pulling your hair out trying to solve a problem that doesn't exist! 99% of clients that come to Trackify for an audit do not have trust in their Google Analytics data. They're not convinced their data is accurate and tend to use the tool less than they could. After carrying out hundreds of audits, Trackify have found that the main reason for inaccurate data is because Google Analytics hasn't been configured and set up correctly from the start. In this blog post I am going to run through my top 6 basic recommendations for configuring and setting up a new Google Analytics Account. Before we actually get into the Google Analytics account, it's vital that Google Analytics is implemented correctly on all pages of your website. If it's not implemented correctly, it's likely your metrics will be incorrect. You can check this implementation using a free tool such as gachecker. This tool will scan your site and identify which of your pages contain Google Analytics and more importantly - those that do not. If you have pages that are missing Google Analytics, it's important you get this fixed ASAP to ensure your data and reporting is correct. This will be your unfiltered 'raw' view which should not have any filters added to it. This view will act as a backup in case anything you do in your main views messes up the data. This will be your main view where you will set up filters, goals, reports and dashboards. This is such an important step that lots of companies tend to overlook. I can't stress enough how important it is to remove internal IP addresses to ensure your data is not skewed. This includes your office, your agencies, your development team and anyone else who may be accessing your website for internal reasons. Find out how to create an IP Exclusion Filter here. To get the most out of your Google Analytics Account, it is important to have goals set up in your Main View. For more information on goals you can read Google's support page here or get in touch with Trackify for a free consultation. I've had a play around with Google Data Studio beta...and it's good! When I heard that Google was released a visualisation tool as part of its Analytics 360 suite, I wasn't surprised given how important reporting via a dashboard is to enterprise-level organisations. With the beta being released only recently, I was excited to get my hands dirty and have a play with it. Given it was initially (and as of July 12, still is) only to users in the US, I had to use a VPN (*cough*) to access the beta, allowing me to create 5 custom reports. THE CURRENTLY SUPPORTED "OUT OF THE BOX" CONNECTORS ARE (NOT SURPRISINGLY) ALL GOOD PRODUCTS. Whilst the default data connectors are only Google properties, this increases exponentially with Google Sheets given the vast sources of information you can import via Supermetrics plug-in. Having all sources (e.g. cost data) in a single dashboard will ensure that important calculated metrics such as ROI will be easily calculated. Once the product is released (also a part of the Google 360 suite, I'll also be interested to see what Attribution 360 data can be added. Especially if it will be used to put data from other sources in context! I'm a big believer in always putting figures and facts in context to assess whether its "performing or not". 2. Connecting sources a breeze! With other dashboards, I've (almost always) had issues with connected external data sets. The process of actually connecting data sources couldn't have been easier (disclaimer: I've only connected Google Analytics data). This is in relation to other third-party dashboard solutions where I've found it much more cumbersome to connect data sources. It shouldn't be surprising given the connectors are all under the Google "eco-system". The business implication here is that it makes creating dashboards much easier for anybody. This is only good news for those that may not have the "technical" skills that may have been needed with other solutions. Google Data Studio not only made customising the look & feel very easy - but the options that it gives is almost endless. This is fantastic when analysts think about dashboard layout and strategy around meaningful information to report on and how (pie chart, table, line graph etc.) this information will be represented. Dashboards that are meaningful and look great are gold! 4. In short, Google Data Studio is very promising! As someone that loves creating reports and dashboards (nerd alert! ), I've been very impressed with Google Data Studio. I'm going to hold off on calling it such things as a "game changer", but only because official pricing for the product has not been released yet! The tool itself is fantastic, but given that it's part of the 360 suite, it will be price geared towards enterprise (i.e. cha ching!!! i.e. not cheap). However, as a beta, it is certainly warranting itself as a tool that will justify a premium. What do you think? Have you had experience with Google Data Studio? I'd love to hear of your experience and your thoughts! Bot traffic in Google Analytics...from Amazon servers located in Ashburn! Wait...what?! But what was unexpected was the Service Provider. It was Hubspot - with the Network Domain being amazonaws.com. The bot traffic was actually coming from Amazon Web Services. In conducting further research on this, this issue looks to have been happening for quite a few years (such as this post from 2013) but it seems that this is becoming more frequent. Should we be worried about bot traffic from Amazon? In short, yes! Treat them as you would any other potential malicious bot. The reason being is that the bots may not be coming from the company itself - but could be disguised as such. We recommend to create filters to exclude this traffic from your Google Analytics profile. Use segmentation to isolate traffic to the sure-tell signs of bots (Time of Page = 0.01 seconds (or a number extremely low); Bounce rate=100%; Source/Medium = "Direct" - amongst others. We suggest also checking Browser and Browser version too). Doing this will ensure your data (or your client's data) will be clean, accurate and reliable! Happy filtering. I've come across this problem a lot with some existing clients. When a website has hashtags in the URL, Google Analytics will not track anything past the hashtag by default. Google Analytics has historically been a fantastic tool to measure visitors to your site. But who are your visitors? How old are they? Are they male or female? What are their interests? The demographics & interests report in GA answers all these questions. If you're sending out a newsletter or launching display advertising on a site outside of the Google Display Network, then campaign tracking is a must. By tagging your URL's you can then track the campaign traffic and users to your site.